Question: How do you set up the dunk tank? Question: What if my event is indoors and we can’t drain the dunk tank afterwards? Answer: We are able to rent you a submersible water pump (you will need to provide your own garden hose) so you will be able to direct the water wherever you need it drained in the event you can’t drain the dunk tank in the same location it is being used. 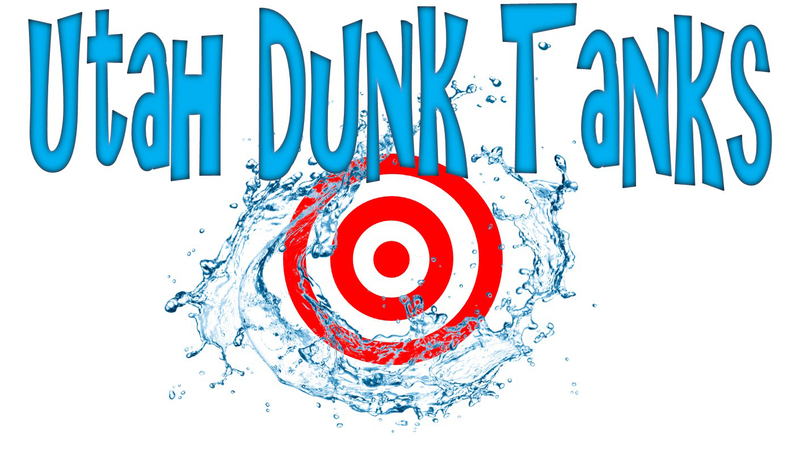 Question: Can I throw the ball at the target when the dunk tank has not been filled with water? Answer: No. We encourage customers to not throw the softballs at the target when the dunk tank is not filled with water. When the dunk tank is full of water, it will help to soften the blow of the seat against the vinyl liner. Throwing the balls at the target while the vinyl liner is empty increases the chance of ripping the blue vinyl liner and allowing water to leak out of the liner. Question: If I have made previous arrangements to return the dunk tank the next morning, can I leave it out overnight? Answer: Yes and no. We encourage customers to remove the seat and store it in a covered area overnight. Rain or other weather conditions may cause the hinges in the seat to rust and become less sensitive when the thrower hits the target. If the dunk tank is accessible to anyone after your event is over, we would recommend that you take it completely apart and store in a safe, locked area to prevent theft of any or all of the parts. Question: How do I transport the dunk tank? Question: What is the weight limit for the dunk tank? Answer: The dunk tank seat is rated up to 250 lbs. For heavier users, holding the small black clip behind the seat while scooting forward on the seat will help to ensure you won’t be dunked before a thrower hits the target. Question: Do I need to supply my own throwing balls? Answer: No, The dunk tank comes with a set of four yellowish, neon green softballs. However, you are welcome to use any other soft, yet solid toy that can cause enough pressure on the target when hit. NERF toys may or may not work depending on how heavy they are and how hard the thrower can throw. Question: What do I need to bring with me when I come to pick up the dunk tank? Answer: You will need to bring a signed copy of the rental agreement, a copy of your driver’s license, and payment of the agreed upon rental fee (cash, check, or credit card). Question: Is it difficult to set up the dunk tank? How long does it take? Answer: It literally takes only about 3 minutes to assemble the dunk tank, or perhaps a few more if doing it for the first time. Question: How long does it take to fill the dunk tank? Answer: Depending on the water pressure, it usually takes 45 min. to 1-1/2 hours to fill the dunk tank. A full tank is approximately 300 gallons of water. Question: What should I do if I notice water leaking from the dunk tank? Answer: Please notify us immediately at 714-615-2694. Duct tape works well temporarily, but we will patch it with a vinyl strip when you return the dunk tank. If the hole is too large to use the tank at your event, we will refund your money. Please note that we inspect the vinyl bag before the dunk tank is rented, and you shouldn’t have any issues with large punctures in the vinyl. Question: What time does the dunk tank need to be returned? Answer: Unless previous arrangements are made, the dunk tank needs to be returned by 9:00 p.m. of the day it is used. We are glad to accommodate your schedule. In fact, if you need to return the dunk tank the next day, we welcome this so long as it’s not rented to someone else! Question: How sensitive is the target? Can a child trigger it? Answer: The best place to aim is the upper half of the square target. A strong thrower can dunk the person no matter where he/she hits the target. A weaker thrower will likely need to hit the upper half of the target to dunk the person on the seat. Answer: We can accept any form of payment (cash, checks, or all major credit cards). Although, when you reserve the dunk tank online, you will be asked to pay through PayPal for the dunk tank rental. If we deliver the dunk tank, you can pay with cash, check, or credit card upon our arrival.